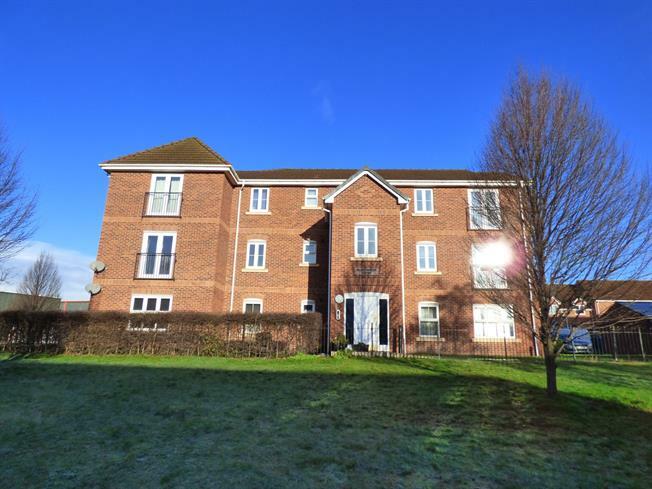 1 Bedroom Flat For Sale in Tamworth for Offers in excess of £100,000. Bairstow eves are pleased to offer for sale this One bedroom Penthouse apartment which is very well presented and ideal for a First Time Buyer or investment. The property in brief comprises of open plan living kitchen area, master bedroom and Fitted modern bathroom. Electric Storage heaters through out. Allocated parking space with the apartment. Secured entrance door to the apart block. Viewings highly Recommended Offered with NO UPWARD CHAIN. Front . Storage heater, carpeted flooring, painted plaster ceiling, ceiling light. Double aspect double glazed uPVC windows facing the front and side. Storage heater, carpeted flooring, painted plaster ceiling, ceiling light. Double glazed uPVC window facing the rear. Tiled flooring, built-in storage cupboard, tiled splashbacks, spotlights. Roll edge work surface, fitted and wall and base units, stainless steel sink and with mixer tap with drainer, integrated, electric oven, integrated, electric hob, space for standard dishwasher, space for washing machine, fridge/freezer. Double glazed uPVC window facing the side. Storage heater, carpeted flooring, a built-in wardrobe, painted plaster ceiling, ceiling light. Double glazed uPVC window with obscure glass facing the side. Electric heater, vinyl flooring, part tiled walls and tiled splashbacks, painted plaster ceiling, spotlights. Low level WC, roll top bath, shower over bath, pedestal sink.